Traveling on I-5 through Oregon soon? Here are a few places that are easy to access from the Interstate. Pop in and visit one of these great wineries on your next trip. Located across from Champoeg State Park, this small, family-owned winery is a short six miles off I-5. You can sample small-lot, high quality Pinot Noir and other varietals from inside the wine production area. They are almost always available for visitors. Give them a buzz before you stop by. Sitting atop the hillside along the Interstate near Salem, you’ll find Willamette Valley Vineyards. It has great views, a nice selection of wines and even daily tours at 2 p.m. The tasting room is open daily from 11 a.m. – 6 p.m. and Fridays until 8 p.m. Food pairings are available as well if you need a bite to eat before hitting the road. 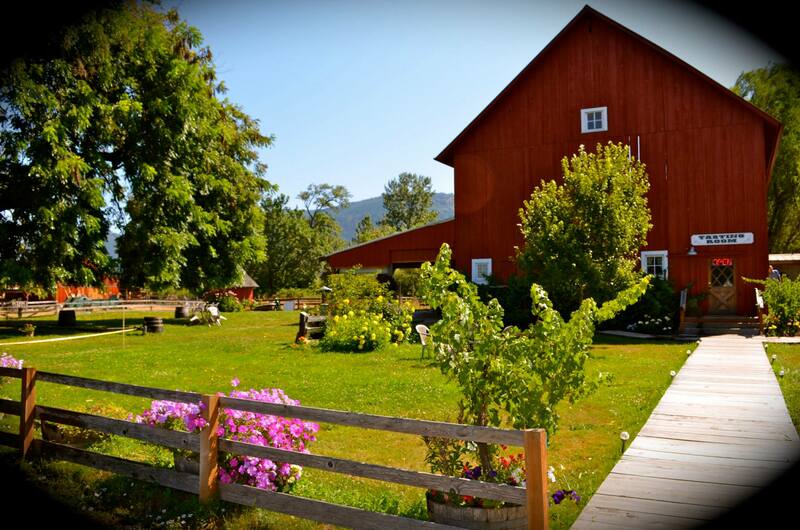 This rustic farm house built in 1905 is a cute, quaint retreat from the hustle of I-5. Get off the Interstate at exit 176 and unwind with complimentary tastings in the country. Open daily 11 a.m. – 5 p.m. and until 9 p.m. on Fridays. This stop off the Interstate would be great place to stretch your legs, take in a lovely view and enjoy a taste of big, bold reds. Take exit 119 and then the second left. Located only ½ mile off I-5. Open 11 a.m. – 5 p.m. daily. Visit one of the largest vineyards in Southern Oregon housed in a historic hotel built in 1864. The winery has ample space for a family picnic, so pack some food and relax with a lovely view of the vineyard. Open daily from 11 a.m. to 6 p.m.